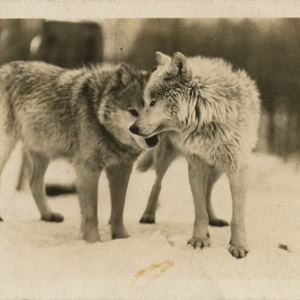 This photograph depicts two wolves at Dr. McCleery's lobo wolf park, located within the town limits of Kane, PA. 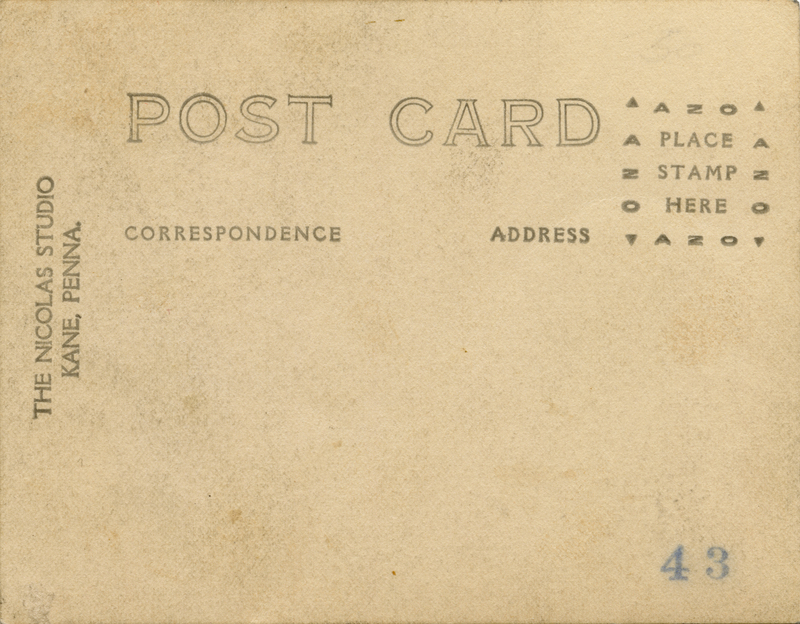 This is an AZO undivided postcard. 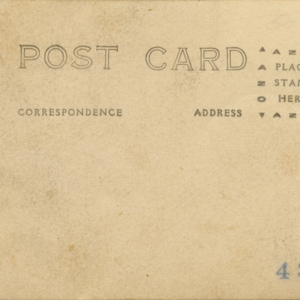 The back of the card reads, "THE NICOLAS STUDIO, KANE, PENNA." This photograph was included in the 1926 Hurri-Kane Yearbook (Kane High School, Kane, PA). 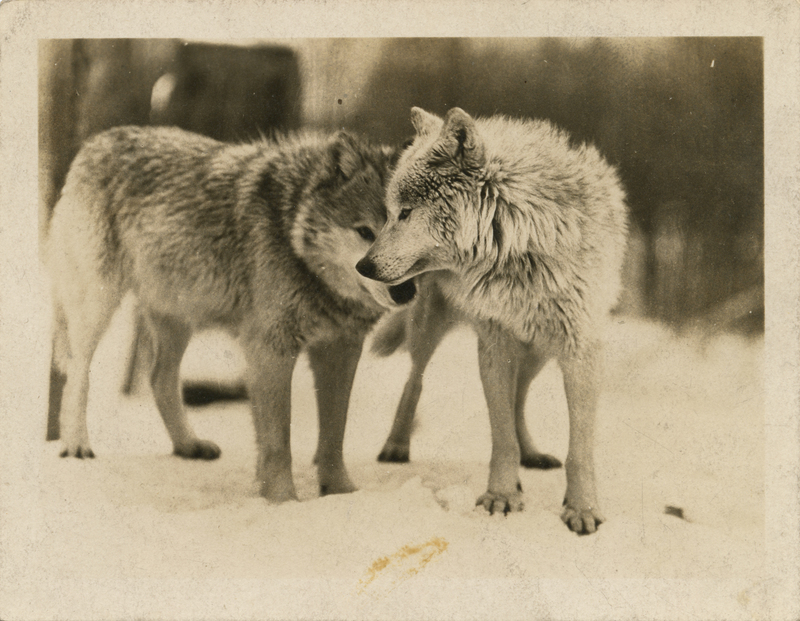 This photograph was taken between 1921 (when Dr. McCleery obtained his first wolf) and 1926 (when it appeared in the Hurri-Kane Yearbook).